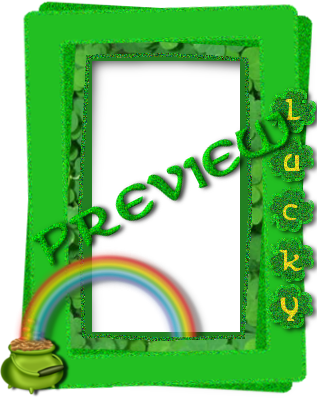 Thanks to http://blackwidowcreationz.blogspot.com/ for the Wish Me Luck scrapkit, I created this cute cluster frame. Go ahead and snag it, the wordart is separated in case you don't like it. Click the preview to download from 4shared. Please leave a comment if you download! Thank you so much for this post. 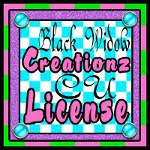 I want to let you know that I posted a link to your blog in CBH Digital Scrapbooking Freebies, under the Page 5 post on Mar. 08, 2011. Thanks again. Greetings Annaica! I love Your blog! I am just starting my own blog and I got a blog award where I have to find 5 blogs with less than 200 followers and give them the award and get others to follow them. So I have listed You as one of the blog award winners. I don't have many followers at this time.. but hopefully as I get more they will filter through! In order to accept the blog award You need to find 5 more blogs that have less than 200 followers and give them the award (which You can find on my blog). My blog is http://amktags2010.blogspot.com/. This is an easy way to get more people to visit your blog!